JJJ. 2011. Ink on comic cover, 7 × 10.5″. Anybody tired of Spidey yet? This guy is. 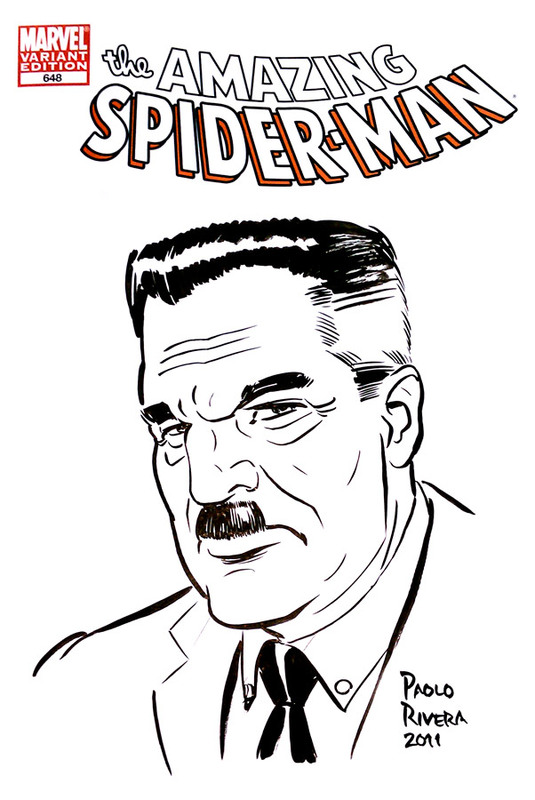 Here's a J. Jonah Jameson commission from the New York Comic Con. In other news, I'll be at the Boston Comic Con this coming weekend. You can read my commissions policy here. I've also got a signing Friday evening at Hub Comics. Ultimate Spider-Man — Spidey at Last!